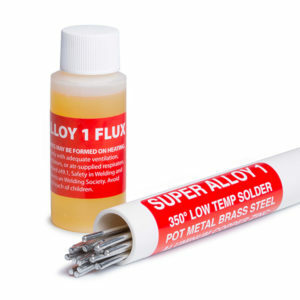 If you’re concerned about welding aluminum in areas where aesthetics are important, Super Alloy 1 rod and flux are recommended. In this video, an aluminum air conditioning tube is soldered with a propane torch. The end result is a strong repair with no distortion or burn through of the aluminum. In this instructional video, aluminum welding tips and techniques are discussed.